Having visited Florida three times for holidays to Disney World, we have always stayed in a Disney resort. 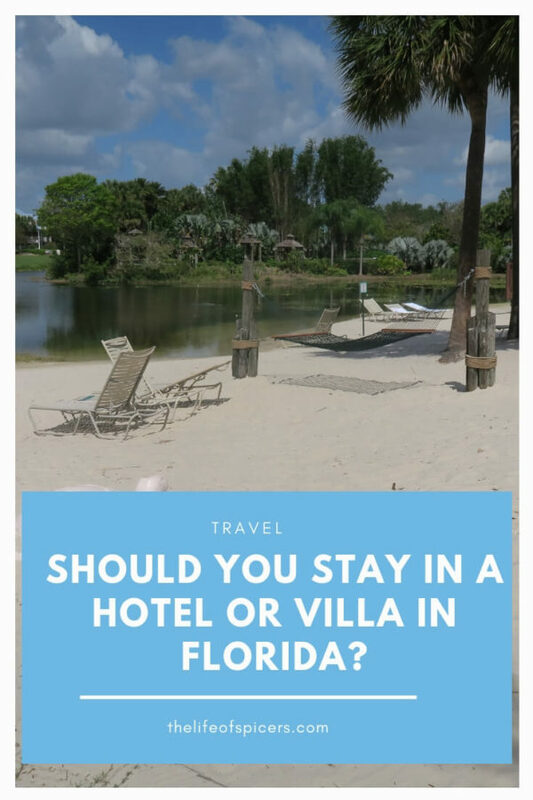 We have wondered however whether we should stay in a hotel or a villa in Florida, and what the difference would be between the two. We have a fourth trip to Florida booked for this year, and again are staying in a Disney resort to primarily visit the Disney parks. 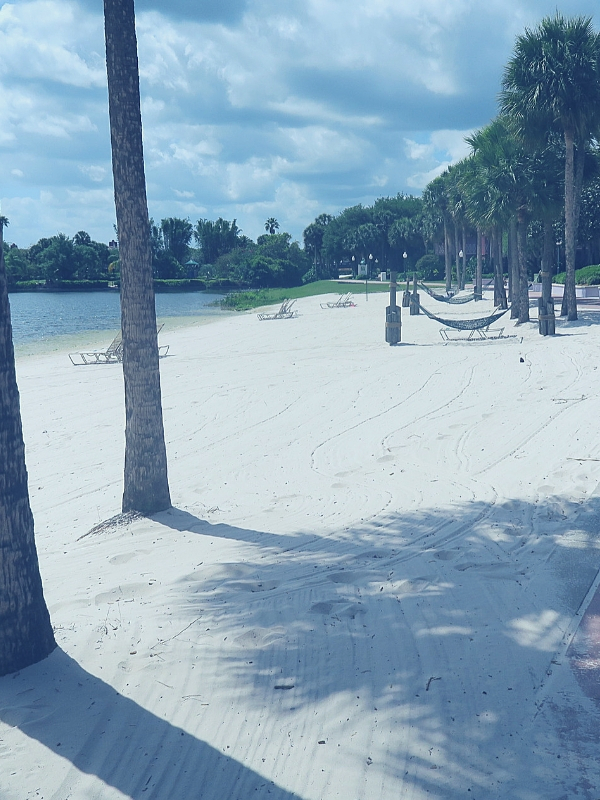 Whilst we love being in the Disney bubble, we have experienced some snippets of other attractions in Florida such as Discovery Cove, and wonder where would be the best place to stay if we wanted to visit other places as well as Disney Parks. A Florida villa holiday has plenty of advantages that aren’t available when staying in a hotel. 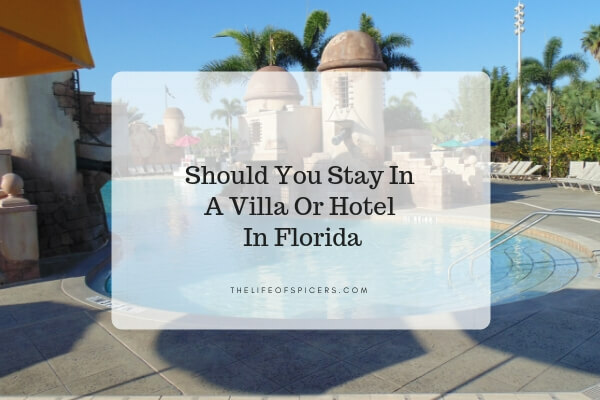 There are a lot of factors to consider when choosing accommodation in Florida, but if space is priority for your family then a villa is the way to go. Steph’s Two Girls chooses to stay in a villa because of the space it provides for her family. She also likes the fact a villa has its own private pool, and being able to prepare their own meals was important for them as a family. Often when staying in Florida, we visit in larger groups. This may be larger families or taking extended families. We often visit with Grandparents, and choosing a villa means that everyone can share the same space. The cost of a Florida holiday is always a big factor when looking for the best deal. Staying in a villa often comes out cheaper for a larger group than staying in a hotel. A villa may be preferable if you’re looking for something cheaper and to escape the Disney bubble. I’ve been a big lover of staying in a hotel in Florida during our visits. 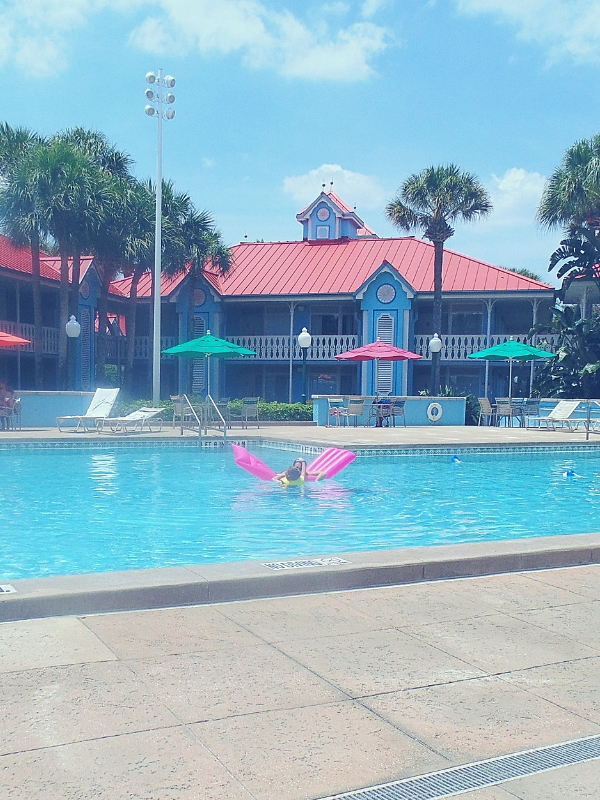 We have always opted for the Disney resort hotel Caribbean Beach resort up until now, but there are plenty of hotels in Florida to choose from. North East Family Fun loves the service you receive in a Disney resort hotel as the grown ups often feel pampered rather than cooking whilst on holiday. Personally I am a big advocate of not cooking whilst on holiday regardless of where we stay. If taking advantage of the free Disney dining deals that Disney often offer, then staying in a Disney resort is for you. The free dining plan can often offer families good value when booking a package. If you’re looking for a budget hotel at Universal Orlando, then Our Bucket List Lives recommends Cabana Bay Beach resort because it doesn’t feel like a budget hotel. With great theming, two large swimming pools and courtesy busses to City Walk, it sounds like a great place to check out. For many people driving in Florida can be daunting if travelling from the UK. I love how easy Disney transport is for us when staying in a Disney resort hotel. Not all hotels in Florida are attached to the theme parks. Me, Him, The Dog and a Baby enjoyed staying at The Clarion Inn which is based between Disney World and Universal. She enjoyed the free shuttles to the parks. As you can see there are so many different choices when looking at a holiday in Florida. If theme parks are your thing then you really can find the perfect choice for you and your family. I am looking forward to researching places to stay when we return to Florida to explore more of the area outside of the theme parks. I stayed in a villa both times and I loved it, as much as I would like to experience the magic of staying at Disney I much prefer the privacy of a villa. If we go again I think we might try a week on site and one week in a villa. So many great villas out there to choose from… but I’m looking forward to experiencing a Disney hotel this time around!